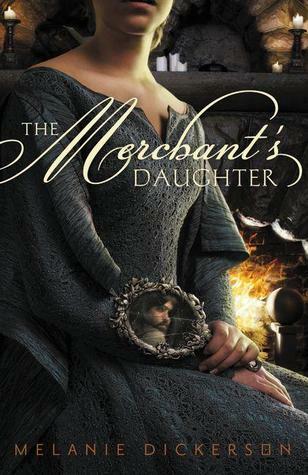 The Merchant’s Daughter gives me something to look forward to in young adult historical fiction novels. I had never been a real fan of the genre until now. In Melanie Dickerson’s writing, I was able to traverse time and space and land in 1352 Glynval, England. Words, actions, morals, and customs created a sense of authenticity within the novel that helped me to better understand the characters and their flaws. The characters of The Merchant’s Daughter captured my heart from the time they were introduced until the very ending of the story, even afterwards. Annabel was young but strong willed. She ran from gossip and under the new Lord, Ranulf le Wyse, did her very best to repay the debt she and her family accrued. I sympathized with Annabel throughout the story because she, as Lord le Wyse so graciously describes her, was “the most beautiful, virtuous, courageous creature” in the small town and did not deserve to be treated as harshly as she was treated at times. As for Lord le Wyse, he was misunderstood but truly had a soft heart. He was vulnerable and understanding and just as “Annabel’s chest ached for her lord’s fate”, I had a hard time getting over how hateful and judgmental the townspeople were towards him. Ranulf and Annabel’s falling in love was inevitable. From the first moments of their meeting it seemed as though they were doomed to face each other on opposite sides of the battle line, but time and circumstances brought them close and held them together. Their final confessions of love to one another made the sweetest scene of all the novel; a scene that calls to be read a few times before you can move on to finish the story. The Merchant’s Daughter is inspired by Beauty and the Beast, and while the novel’s connection to the classic fairy tale is strong, there is more to the story than a retelling of unexpectedly finding love. The Merchant’s Daughter is shadowed by suspicion and mystery as a young girl defines her faith in God and love. I just recently published my review of this novel on my own Blog devoted to Medieval novels which can be visited by clicking on my name.